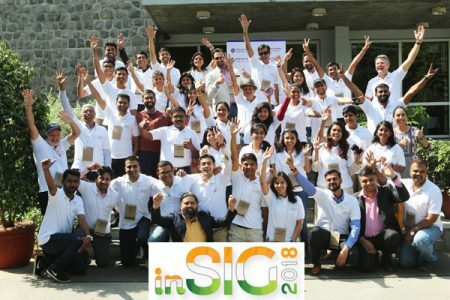 The third edition of the India School on Internet Governance (inSIG) took place from 13–15 October 2018 at the India International Centre in New Delhi in partnership with the Internet Society Indian Chapters: Delhi, Trivandrum, Mumbai, and Kolkata. It was supported by the Beyond the Net Funding Programme with the participation of Olaf Kolkman, the Internet Society’s Chief Internet Technology Officer. Ninety participants joined a three day activity event which included workshops, role play exercises and discussions. The event focused on educating emerging leaders from India and other South Asian countries, such as Afghanistan, Bangladesh, Nepal, and Sri Lanka on their role in the global Internet Governance ecosystem. On 12 October 2018, two events were co-hosted: Firstly, The Internet Infrastructure Security Day, a workshop to learn more on open Internet standards and sharing good practices as part of the Global Forum on Cyber Expertise (GFCE) – and secondly, India’s first Youth Internet Governance Forum (YIGF), which conducted multiple sessions on topics of relevance to young Internet users, particularly those in secondary school, college, and early employment. Both events were livestreamed and viewed by over 1,500 participants. A range of several industry experts offered insight into India’s Internet story and the potential for future impact. Taking into consideration that India should have a strong position in the realm of Internet Governance and its role should be commensurate with the strength of India’s IT industry and the size of India’s Internet users base, which is currently the 2nd largest in the world. Presently, there are 234 million Indian-language Internet users compared to 175 million using the English language. Over the next five years, 90% of users are expected to be those of Indian language. A domain name with .भारत will make websites more accessible for such an audience and efforts in breaking the language barrier, will in turn, offer a chance to the next 500 million people to obtain online access. How can the Internet can become a transformative power in India by 2020, and not just an enabler? ” The Indian community believes that global Internet Governance can only be functional, effective and credible, if all relevant stakeholders are contributing to the process.” remarked Dr. Govind, President of the India Delhi Chapter. We’re looking for new ideas from people all over the world! Find out how to empower your community using the Internet. The Internet Society Beyond the Net Funding Programme funds projects up to $30,000.00.